Thee, Stranded Horse is the alias of singer, songwriter and wanderer, Yann Tambour. Playing acoustic guitar and kora – simultaneously at times – Tambour has a crafted a sound like no other. His approach to the kora (the West African harp-lute) is totally non-traditional, but so dazzling that he has often shared the stage with one of the instrument’s greatest living exponents, Ballake Sissoko. 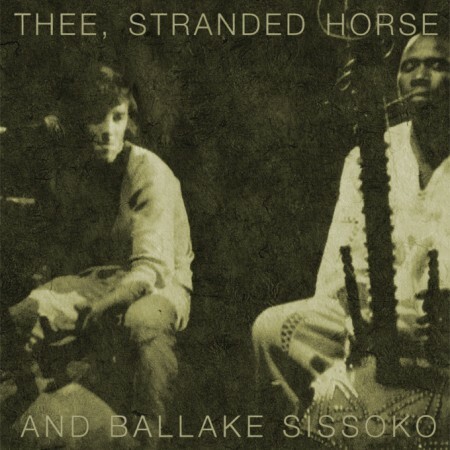 The pair re-worked of four songs from the “Churning Strides” album (Blank Tapes / Talitres, 2007) that became Thee, Stranded Horse’s second release on Talitres, as a special limited edition vinyl EP, simply entitled Thee, Stranded Horse and Ballake Sissoko. Further live collaborations between the two are planned.